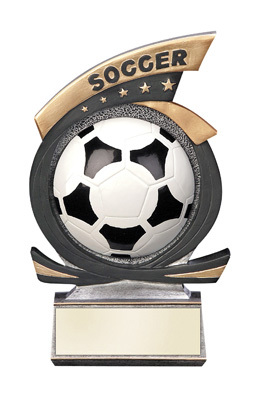 Full color soccer ball surrounded by five stars on a black and gold ribbon. A three-dimensional design gives this award a unique look. Three lines of engraving on a gold plate are included to make this award special.